A very short time on the market and that's it. You need to read the title carefully and understand that the Jaguar F-Type R, or any F-Type variant, isn’t going anywhere. For the upcoming model year it’ll still very much be sold in the US and many other countries around the globe. But there’s been something of a change ahead for MY 2016. 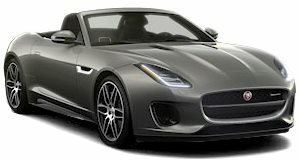 According to a new report coming from Car and Driver, the rear-wheel-drive F-Type R coupe, that ferocious feline with 550 horsepower, will soon be no more. Jaguar is forcing all American F-Type R buyers to have all-wheel drive. C&D spoke with the F-Type’s chief engineer at the LA show last week where the news was confirmed. The reason for this decision is that Americans, according to Jag’s data, rarely custom order their cars like Europeans often do. US dealers pretty much control the inventory. 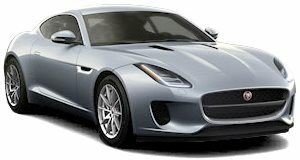 And because US buyers are already prepared to throw down $100k for the top-end R trim, Jag will simply make AWD standard. But get this: the RWD/V8 combo will continue in the UK. So if you want a RWD F-Type R in the US, now’s the time. However, RWD (and a six-speed manual gearbox) will remain standard on all V6 coupes and convertibles, while AWD will be optional. And have no fear. Jaguar says the AWD F-Type R will still drift.